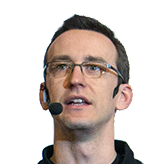 Here I am with the slides of my sessions at SharePoint Days Slovenia 2014. Understanding Office 365 Authentication and Federation Architecture and Deployment of Workflow Manager farms I hope you enjoyed my sessions and let’s see in the future. Feel free to contact me in case of need at paolo(at)pialorsi.com or via Twitter (@PaoloPia).